In the digital age, affiliate marketing has become a great way to earn money online. Yet, finding products that convert and pay a good commission isn’t always easy. As an affiliate, if you want to maximize your income potential it’s important to choose a topic or niche you know is going to be in demand and can be monetized. That said, one niche market that is flush with business opportunities and high commission earnings is personal finance. This is particularly true when it comes to credit cards, which is a growing niche. The combination in the rise of online stores and savvy shoppers has led to people becoming comfortable with making purchases online. At the same time there has been an increase in demand for credit cards and so it is hardly surprising that credit card affiliate programs are becoming increasingly more popular. At Share Results we’ve seen the number of credit card applications increase by 44.4% compared to last year. New affiliates promoting credit cards has also grown but it is becoming increasingly evident when looking at the results for specific affiliates and comparing the number of applications to last year that the number of people applying for credit cards is growing. To be a profitable and successful affiliate, it is important to understand whether a product is relevant to your content and to choose an affiliate program that provides the most relevant ads for your website. Read on to find out why promoting credit cards is worth considering and whether signing up to a credit card affiliate program is right for you. When it comes to credit cards, it appears to be a market that won’t stop growing, as increasingly more people are applying for credit cards. 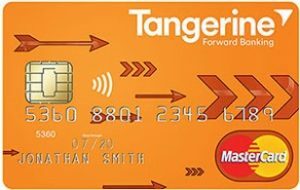 In 2017, there were 3 million MasterCard and VISA credit cards in circulation, according to the Canadian Bankers Association. This is equivalent to an average of 2.6 cards per adult. Everyday, countless people are searching online for the best credit card rewards programs, or even where they can apply for their first credit card. This is a great opportunity to create a niche site providing content to help people choose the right credit card, but also make money from those referrals. Thus, if you’re interested in earning money from your website or you’ve already put effort into building a personal finance website with substantial traffic, then promoting credit cards could be an amazing opportunity. It is a competitive niche with lucrative payouts, and although comparison sites or affiliates who blog specifically about credit cards have good conversion rates, lifestyle and travel related affiliates also successfully promote credit cards to make a good income. It’s a matter of looking at your audience and choosing to promote the right credit card. Let’s say you have a travel-related website, a good option would be to promote credit cards such as Scotiabank’s Passport Visa Infinite Card, that offer reward points for the purchase of flight or hotel bookings. Likewise, if you have a food, car or furniture blog, you can monetize your website traffic by promoting credit cards, like Tangerine’s Money-Back Credit Card that offers rewards for the purchase of groceries, gas or furniture. Nowadays, there are credit cards for every need and Share Results sees a growth of around 30% year on year for our credit card products. Thus, whether your website is about student life, movie reviews, or fashion, good chances are that you’ll be able to promote various credit cards that fit your audiences needs or wants. There are many affiliate programs and networks out there, so choosing the right one with the right product(s) is key. For instance, Amazon’s affiliate program offers anywhere from 1% to 10%, with most of the other categories under 5%. Therefore, to maximize your earning potential, you need to send a high volume of traffic to these products or hopefully find a product from which you can make a higher commission. Financial products such as credit cards have higher than average affiliate commission rates. Banks usually offer a flat CPA rate for every approved customer you send. It can range from $50 to $100+. Plus, from time to time, affiliates are eligible for special incentive campaigns with bonus payouts in addition to the flat rates. Some financial institutions also run special promotions to attract more customers via the affiliate channel. It might be a $50 gift card that is offered to the customer once they are approved. As a result, affiliates see an increase in applications for credit cards and often see an increase in commission revenue when these types of promotions take place. With higher than average commissions, credit cards are worthwhile products to explore as an affiliate. It’s simple to advertise, plus it’s free to try. Just think a little outside the box, to find unique angles to promote and test them out. There are all different kinds of financial products to choose from and it might be that you decide to test out different credit cards to see which ones work the best with your audience. Or it might be you find that credit cards aren’t the right match. There are so many products to choose from. Share Results offer credit cards, chequing and saving accounts as well as pre-paid cards and credit reports. Choose products/services that align with your content and thus are likely to convert. Build quality traffic with an audience who are interested in your topics and who will revisit your website. From there you can expand your website to include more subtopics and add more products. If you’ve enjoyed this read, visit our website for other articles and our affiliate network.